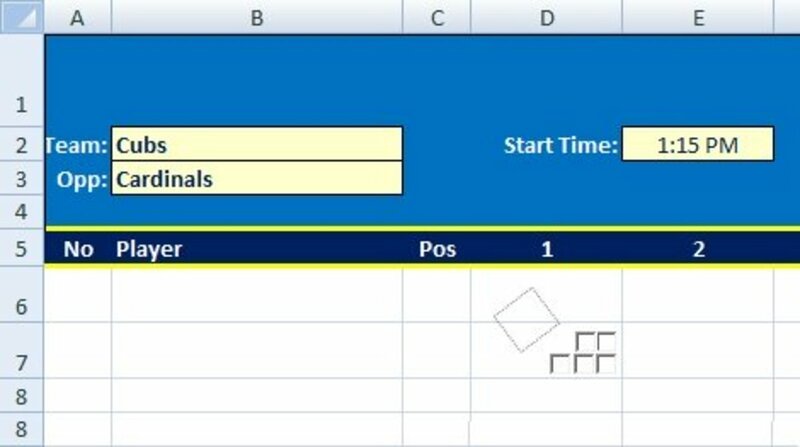 I wish that I'd had a computer back then so I could easily create a baseball scorecard in Excel. I would have preferred keeping score on a nice, clean scorecard rather than notebook paper with crooked lines! This article is also for parents who coach their kid's baseball or softball games. 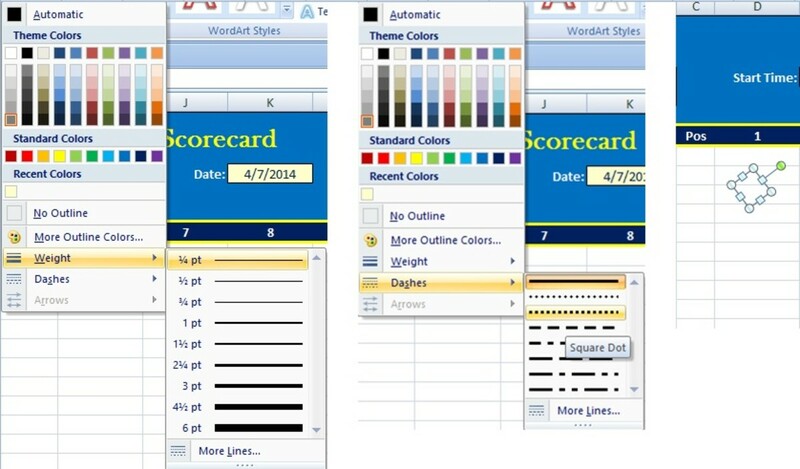 You will learn how to free scoring sheets that are customized to your team. 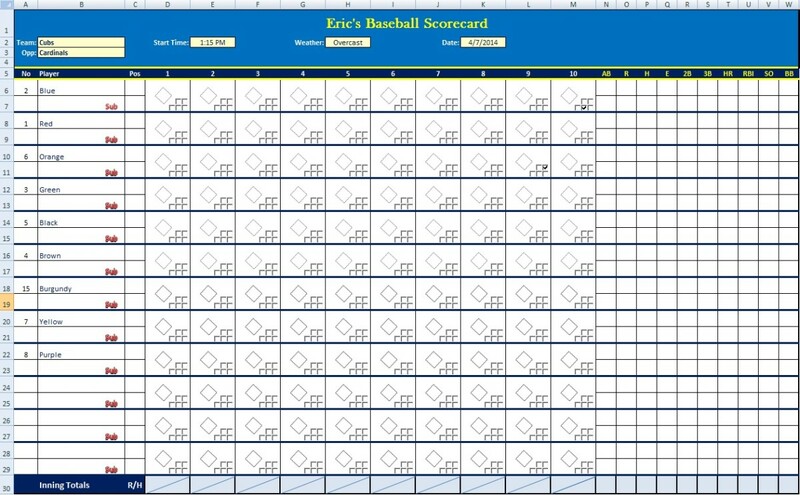 Creating a basic scorecard in Excel is actually very simple and easy. The best part of it is that you can customize it however you want. Highlight cells A1 through W1 and click on the "Merge & Center" button, then make it bold by using the keyboard shortcut "Ctrl + B". Enter a title to your scorecard. I used "Eric's Baseball Scorecard" as my title. Also, change the row height to 41.75. In cell A2, enter "Team:" and change the format of the cell to right. Also, format the cell as bold. 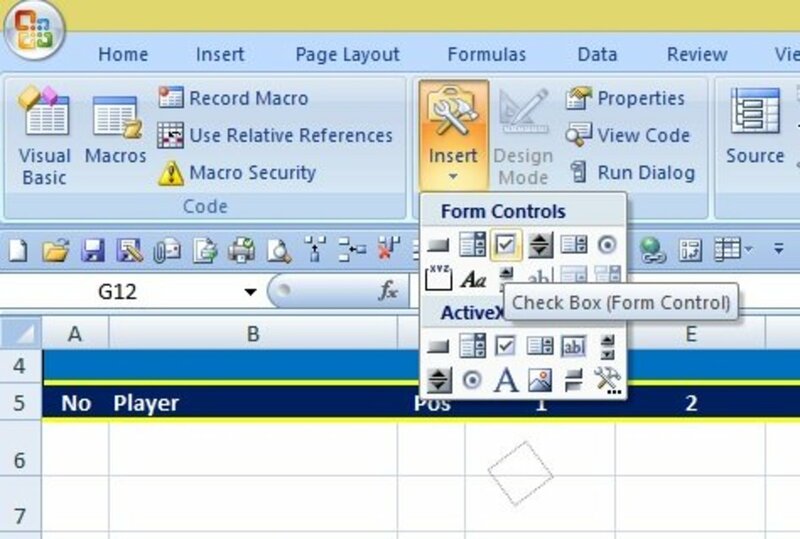 In cell A3, enter "Opp:" and change the format of the cell to right and format it as bold. 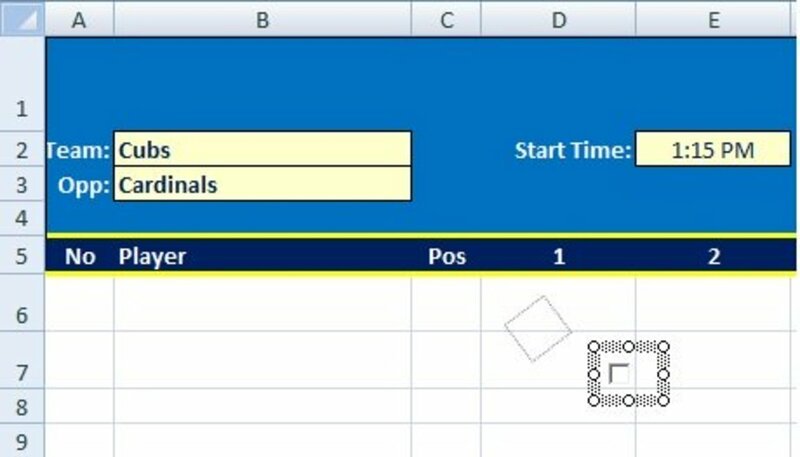 In cell D2, enter "Start Time:" and change the format of the cell to right and make it bold. In cell G2, enter "Weather:" and change the format of the cell to right and make it bold. In cell J2, enter "Date:" and change the format of the cell to right and make it bold. 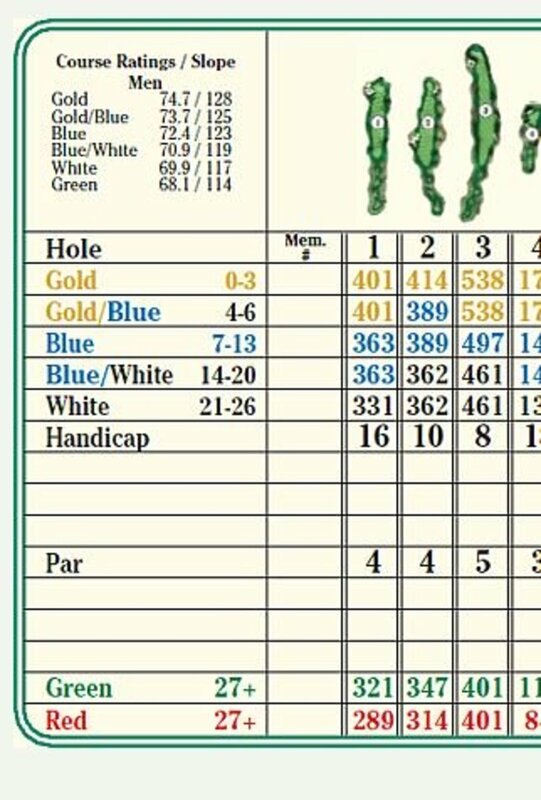 Format the top area of the scorecard however you like. Personally, I like to use a darker color as the background with lighter color fonts to pop off of the screen. I also like to color all of the input boxes one color so that it is clear where a value needs to be entered. I normally choose the lightest shade of yellow. 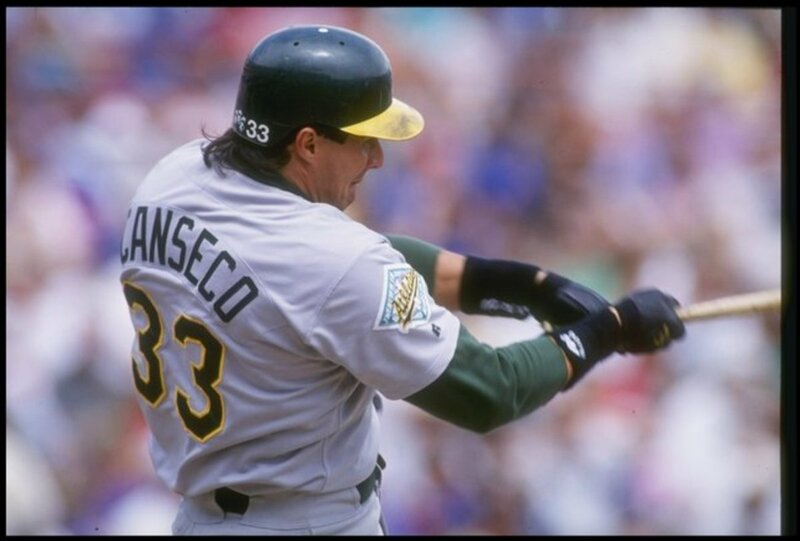 Beginning in cell A5 and continuing until cell W5, enter the following headings and make them bold when you are finished: No, Player, Pos, 1, 2, 3, 4, 5, 6, 7, 8, 9, 10, AB, R, H, E, 2B, 3B, HR, RBI, SO, BB. Change the column widths as follows: Columns A, C, and N through W should be set to a width of 5, column B should be 23.75 wide, and finally, column D through M should be set to a width of 12. Change the following row heights as follows: Set rows 2 through 4 to a height of 15, set row 5 to a height of 17, and set rows 6 and 7 to a height of 25. 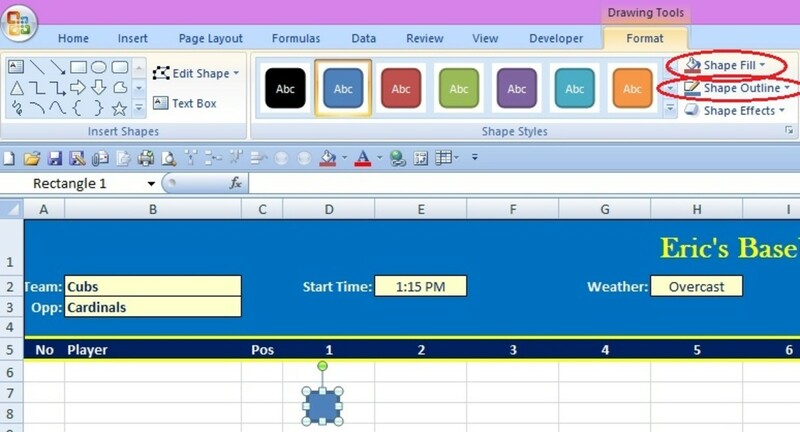 Go to Excel's "Insert" tab and click on the "Shapes" drop-down arrow. Click on the "Rectangle" image (see below). 13. Draw a square into column D below row 5. Click the "Shape Fill" drop-down box and select "No Fill." 14. Then click on the "Shape Outline" drop-down box and select the darkest gray color in the left column of colors. 15. Also, click on the "Shape Outline" drop-down again and change the "Line Weight" to 1/4 pt (see below, on the left side of the image). 16. Then click on the "Shape Outline" drop-down again and under the "Dashes" menu, select "Square Dots" (see below, in the middle of the image). 17. Finally, rotate the square until it stands on a point, as shown in the image below on the right side. 18. Position the box so that the left and right points touch the line between rows 6 and 7. Also, the box should be offset to the left-hand side of the box. 19. On the "Developer" tab in Excel, select the drop-down arrow under the "Insert" button. 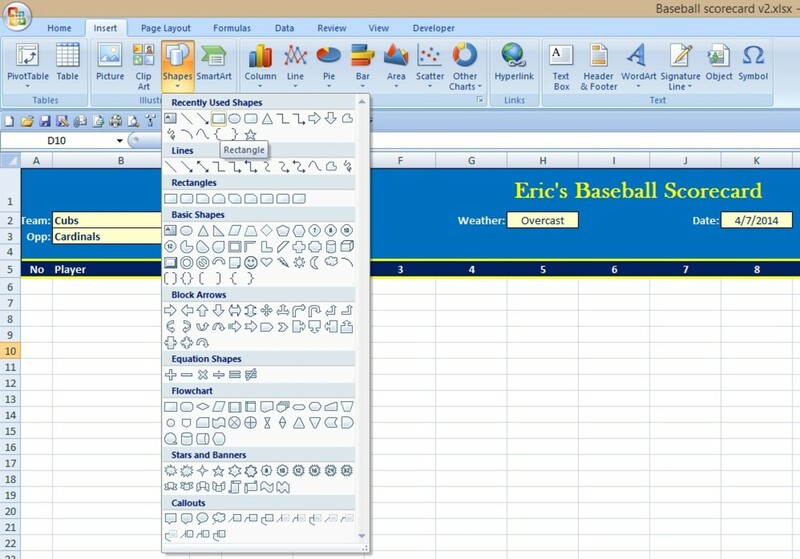 (Note: if you do not have the Developer tab showing, click on the Windows icon and select "Excel Options." Place a check mark in the box next to the "Show Developer tab in the Ribbon," which is the third option under the "Popular" menu.) Select the "Check Box," which is located in the middle on top. 20. Draw a rectangle somewhere on the worksheet. Click into the rectangle and delete all of the writing inside of it. Next, make the box and as small as possible. Right-click on it and select "Format Control." Check the box for 3-D shading on the "Control" tab. Finally, slide the check box into the bottom right corner of cell D7 (see below). 22. Under the "Insert" tab, click the drop-down arrow under "Word Art" and select your favorite style. Enter "Sub" into the box that pops up and reduce the font size down to 11. Resize the text box down as small as you can and slide it into the bottom right corner of cell B7. 23. Highlight cells D6 and D7 and select "Outside Border" from the Borders drop-down box on the "Home" tab. Next, copy both of those cells. 24. Highlight cells E6 through M6 and hit "Ctrl + V" to paste the diamond and ball/strike boxes into each cell. 25. Highlight cells A6 through C7 and under the "Borders" drop-down box on the "Home" tab, select "All Borders." Next, highlight N6 through W7 and hit the F4 key which will repeat the All Borders formatting for these cells. 27. Under the "Insert" tab, click the drop-down arrow under "Word Art" and select your favorite style. Enter "Sub" into the box that pops up and change the font size down to 11. Resize the text box down as small as you can and slide it into the bottom right corner of cell B7. 28. Click on row 6 and 7 to highlight both rows all the way across the spreadsheet and copy them (Ctrl + C). Next, click in cell A8 and then hit "Ctrl + V" to paste. Repeat this in rows 10, 12, 14, 16, 18, 20, 22, 24, 26, and 28. This will not only copy the contents of the cells but also the formatting. 29. In row 30, change the row height to 27.75. 30. In cell B30, enter "Inning Totals." 31. In cell C30, enter "R/H." 32. Format this section however you want. I choose a dark blue background for A30 through C30 and a light blue background for the rest. 33. Put a thick border around cells A30 through C30. Place individual thick borders around D30 through W30. 34. Under the "Insert" menu, click the drop-down arrow under "Shapes" and select a straight line. In cell D30, draw it from one corner of the cell to the other. Now copy D30 and paste it into cells E30 through M30. Note: This is a basic list of scoring abbreviations, not a complete list. Ground ball hit to second base with an out at first base would be scored 4-3. Ground ball hit to third base with a throw to second base to get the runner that was on first and then a throw to first base to get the second out would be scored 5-4-3. A fly ball hit to center field would be scored as F8. 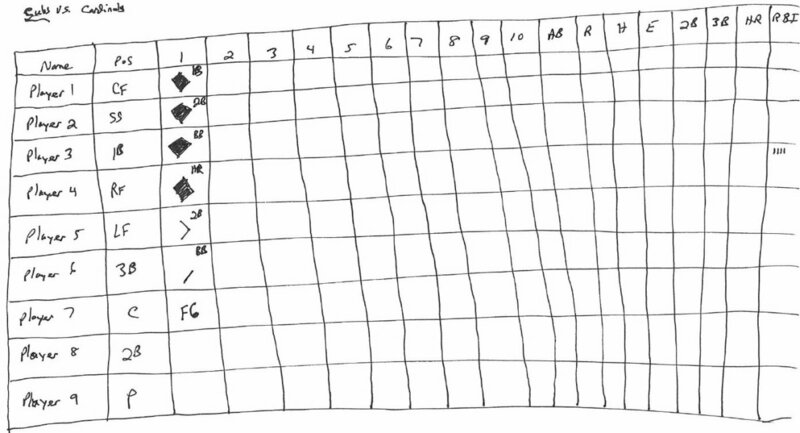 A single would be scored as 1B and tracing the box from the bottom point to the right corner (just like a baseball field is laid out). As the runner changes base, trace the line to the base they are at. Color in the box if they score. 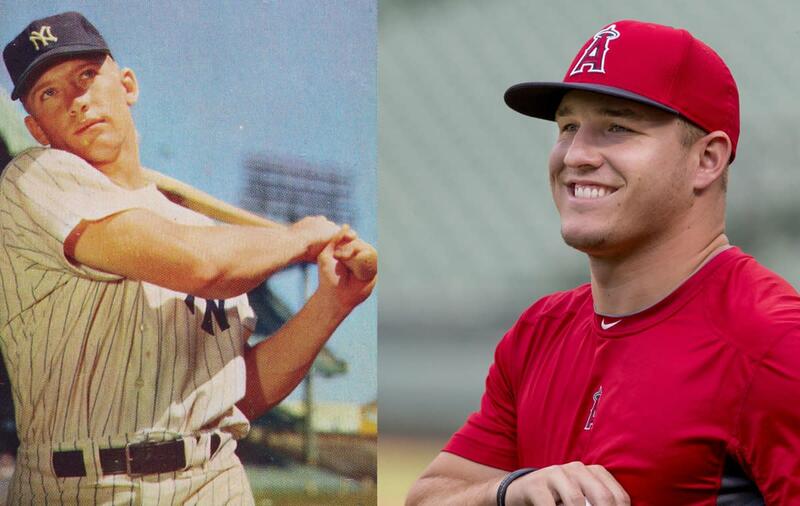 HR means home run and you would color in the box and the boxes of anyone on base at the time. 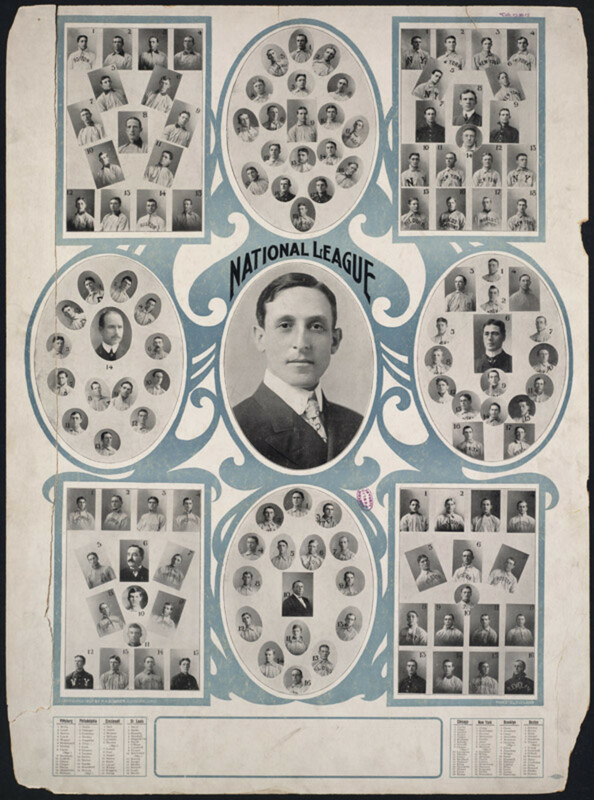 Do you enjoy keeping score while watching a baseball game? While I enjoy an occasional baseball game, I am not enough of a fan to make my own score card. But, this is an impressive Hub with outstanding step by step details and use of graphics. I wish I was half as creative with an Excel spreadsheet. Great job Eric! Voted up and shared. I may have to try this when I have a little time on my hands. Usually if I keep score, I just do the hand-drawn version. Would be nice (and cleaner!) to have something to print off.